19771 Private F. Gaskin, 7th Battalion, Alexandra, Princes of Wales’s Own Yorkshire Regiment was killed in action 1 July 1916 and is buried at Fricourt British Cemetery, Somme, France. He was 21 years old and is commemorated on the Etherley War Memorial and the Roll of Honour, St. Cuthbert’s Church, Etherley. 21 January 1915: Fred Gaskin enlisted at Darlington and was allocated the regimental number 19771. He was posted to the 7/Yorkshire Regiment, commonly called the Green Howards. 7th York and Lancaster Regiment which was replaced by the 6th, Dorsetshire Regiment. 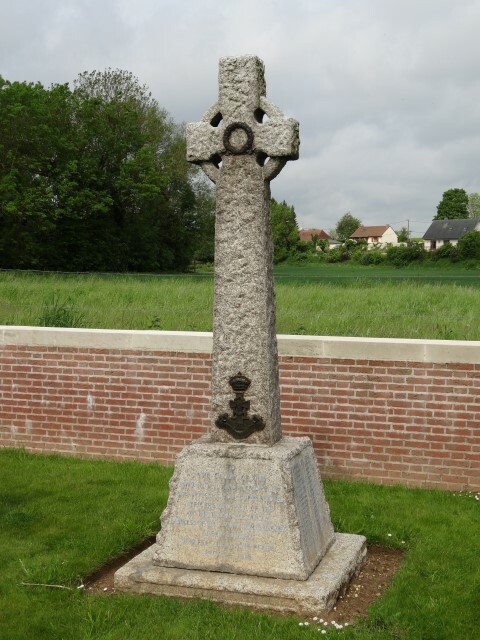 13 July 1915: 7th Battalion sailed from Folkstone to France with a strength of 30 officers and 937 other ranks. 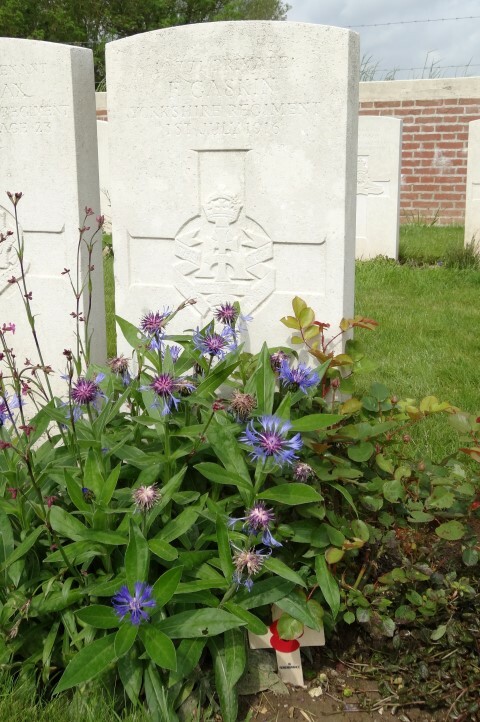 2/3 August: Voormezeele: relieved 1st Wiltshire Regiment in the trenches. 17th Division had taken over the St. Eloi sector and remained there until October, doing tours of 8 days in the line and 8 days at Reninghelst. 5 August: a draft of 70 non-commissioned officers and men came out from England bringing the strength up to 26 officers and 961 other ranks. 12 August 1915: Private F. Gaskin entered France. 9 – 14 August: 7/Green Howards in the front line involved for the first time in an offensive operation i.e providing fire on the enemy as a diversion to the British attack at Hooge. In retaliation, the communication trenches and roads were heavily shelled. The rest of the year was spent in the Ypres area then in March 1916, the Division took over the Lys sector ending 12 May. Training for the great Somme offensive then took place. 13 June 1916: trenches south of Fricourt, 7/Green Howards relieved a battalion from the 7th Division. Heavy rain so the attack on Fricourt was postponed for 48 hours. 30 June/1 July: British bombardment of the German line. “A” Company had left its trenches at 8.20 – a message was received that many were lying dead and wounded in No-Man’s Land and they were being heavily fired upon by machine-guns and snipers. Owing to the action of “A” Company, the fire of British gunners was considerably reduced since they were aware that many were lying in No-Man’s Land and in close proximity to the German wire. As a result, the wire was practically intact in front of the cemetery. 2.30pm: “D” “B” and “C” Companies went over the top in succession from the right. The assault came under enfilade fire from both flanks. Officers and men of the 3 attacking companies were mown down – 13 officers and over 300 other ranks became casualties in about 3 minutes. 6.16pm: the 6th Dorsetshire Regiment relieved the 7/Green Howards and the battalion fell back and the wounded were brought in but the dead lay thick on the ground. “D” Company, of which only 3 of its 4 platoons took part, lost 61 out of 130. Total casualties are given as 5 officers killed; 10 wounded; 336 non-commissioned officers and men were killed, wounded or missing. Later research records that between 1 and 4 July 1916, 3 officers and 111 other ranks serving with the 7/Green Howards were killed in action or died of wounds including Private F. Gaskin, killed in action. Of this number almost 50%, 53 of the 111 came from County Durham, many from the Sunderland area. Another local man to be killed in action that day was 18866 Private Thomas Watson, born at Cockfield but lived at 16 Toadpool, West Auckland. 28 year old Private T. Watson is buried at grave reference A.27 next to Private F. Gaskin. It seems highly likely that Privates Fred Gaskin and Thomas Watson were known to each other. Private F. Gaskin is buried at grave reference A.26, Fricourt British Cemetery. There are 133 burials. 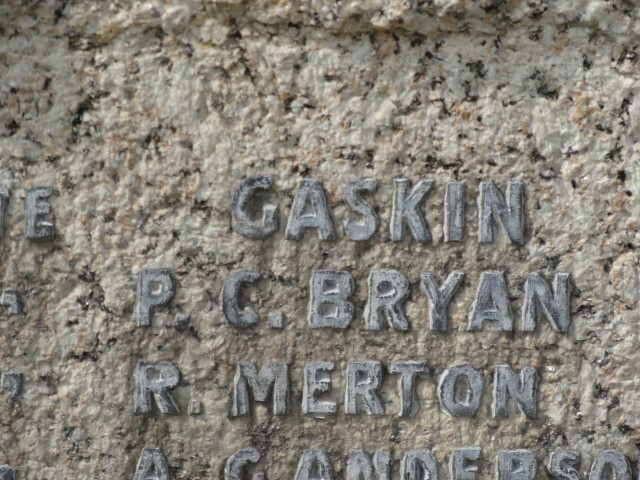 Private F. Gaskin is commemorated on the Etherley War Memorial and the Roll of Honour, St. Cuthbert’s Church, Etherley.